There’s nothing quite like the discomfort of a toothache, and yet, there’s actually an entire day dedicated to them. 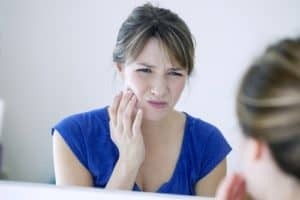 February 9th is recognized as National Toothache Day, and in honor of this strange holiday, our dental office in McMinnville is sharing some of the best ways you can make an annoying and painful toothache go away. There are numerous things you can do to help ease the pain associated with a toothache, but all of these remedies are only temporary solutions. In order to completely make a toothache go away, we always recommend scheduling a visit with your dentist in McMinnville as soon as you can for a proper diagnosis and treatment plan. If you’re suffering from a toothache, we welcome you to call our McMinnville dental office to schedule an appointment today.